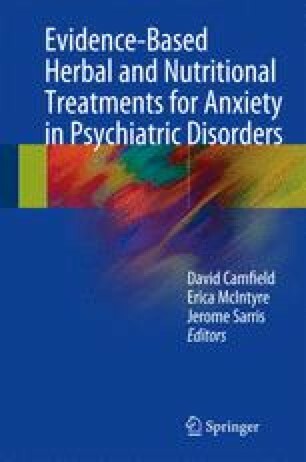 This chapter will present evidence from human clinical trials regarding the efficacy of nutritional supplements which have emerged in recent years as viable treatments for anxiety disorders. Sarris, J., et al. Participant characteristics as modifiers of response to N-Acetyl cysteine (NAC) in Obsessive-Compulsive Disorder. Clin Psychol Sci. http://dx.doi.org/10.1177/2167702616639864.